Just imagine: You’ve finished an incredible client meeting. They loved your products. They want your services. You shake hands, the meeting ends and you head back to your office after promising to follow up in a few days. Everything is looking great…until they choose another company to fill their needs. There are several possibilities. One of the most likely is that they didn’t recall a critical piece of information about you when they were making their final decision. So, how can you make sure you are always top of mind? According to Forbes®, one of the best ways is to use creative leave-behind ideas. In this Blue Paper, we’ll discuss why leave-behinds are important, how to best use them and why it pays to plan ahead. A leave-behind is, quite simply, an item that is left behind after a discussion with a potential client. 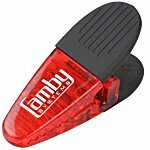 These can take multiple forms, from a business card with your contact information to a specially chosen promotional product that’s meant to illustrate your company or solution. In B2B situations, the presenting company will frequently use a printed leave-behind that hits all the critical points of their presentation, including bullet points of what differentiates their product or service from other companies, stories that illustrate problems they’ve solved, references and contact information. In B2C situations, a leave-behind is generally a simple reminder of the work that a company can, or has, performed. For example, a company that does contracting work might leave behind a pamphlet of information and a Stress Reliever – Hammer with their name and contact information on it. Regardless of your industry, the leave-behind has one important function: it reminds the customer you’re the solution to their problem. 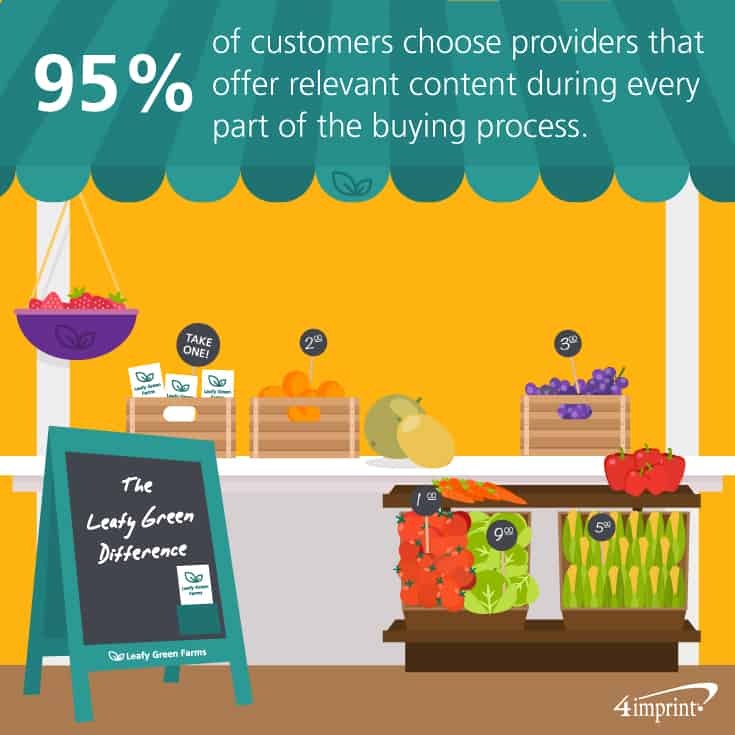 Studies have shown that 95 percent of customers choose companies that offer relevant content during every part of the buying process. A great leave-behind is one that provides the information potential customers need, when they need it. Sometimes that is as simple as a phone number or a website where they can learn more about what your company does. It’s worth noting that creative leave-behind ideas for sales help keep your company in their thoughts. According to PPAI™, 83 percent of consumers say they’re more likely to work with a brand after receiving a promotional product. In situations where you’re providing a longer presentation about your product or services, give a leave-behind that offers an easy way to remember the most important facts about your business. For example, if you’re a large food co-op that wants to develop a relationship with organic food stores, offer a leave-behind that explains why you would be their preferred supplier. Take it a step further and offer the stores materials they can put out to help educate their customers. Highlight the things that set your brand apart. Putting that information into their hands in a form they can quickly reference could be the difference between making a sale and the prospect choosing another vendor. The best leave-behind is the one that a) the customer wants to hang on to, b) has relevant, easy-to-reference information and c) contains your contact information in an easy-to-find location. Ultimately, however, the “right” leave-behind is going to vary based on what kind of product or services you’re offering and what the potential customer needs. Here are a few ideas to keep in mindas you look for the best possible leave-behind for your brand. Depending upon the leave-behind, it may sit on a desk for several days or even several years. When the customer looks at it, the most important information—your company name, phone number and website—should be easily seen so the customer can get in touch with you. The more personalized you can make the leave-behind, the better. Make sure each piece of content reflects the customer’s problem you’re trying to solve. By personalizing the content, you’re also showing your customers that you value the relationship you’re building. Also, make sure the information you leave behind is relevant to their pain point. The person looking at your leave-behind is often in a hurry and trying to locate an answer to their question quickly. Relevant headers and bullet points will help people find what they’re looking for with just a glance. 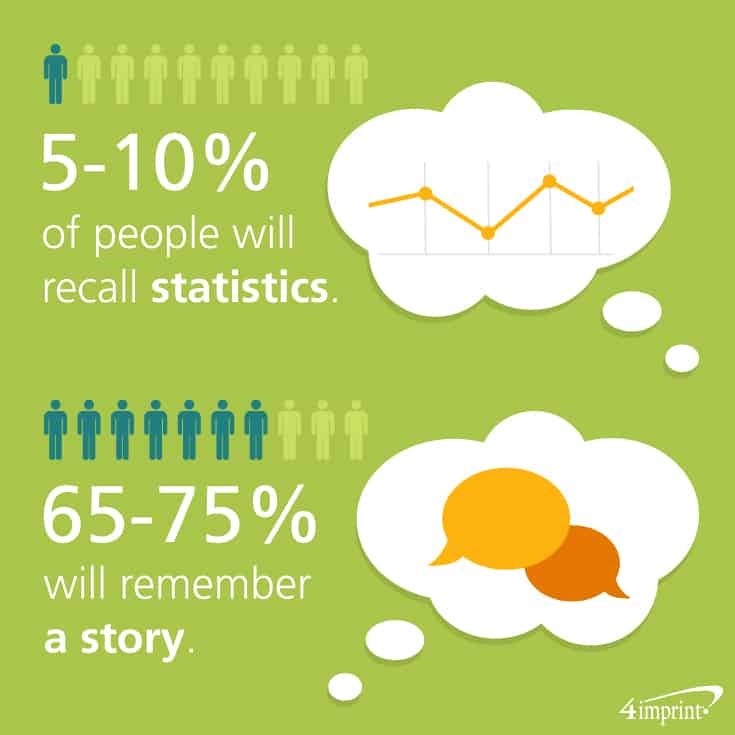 According to one study, only 5 percent to 10 percent of people will recall statistics, whereas 65 percent to 75 percent will remember a story. By offering concise, relevant stories in your leave-behind, you can help the reader more easily recall what you can do for them. We’re inundated with digital content every day. So, printing a well-crafted piece and placing it into a nice folder can help your leave-behind stand out a little bit more. The Tri-Fold Brochure – 8-1/2″ x 11″ can offer just the right amount of space to share well-designed data, stories and a few pictures that highlight your product or service. And the Hard Cover Premium Presentation Folder can serve as a beautiful cover for any important literature you wish to leave behind. Since brochures, pamphlets and other leave-behinds might get recycled, sometimes the best way to stay top of mind is by offering prospective customers promotional products. The benefits of the USB drive don’t end there. “Even if they use your information, and they’re done with it, they can use (the USB) for their own stuff, and it still has our logo on it. It keeps us on their mind,” Abhold said. As you finalize your printed information, take the time to think about what kind of promotional productsmight pair well with your presentation. According to the Advertising Specialty Institute, people hold onto promotional products for an average of eight years. 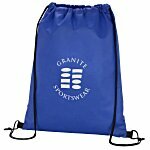 So, while your presentation might be forgotten, your promotional swag could really stick around. Much like paper-based leave-behinds, the best creative leave-behind ideas for sales are the ones that are special or unusual enough to be memorable. While it’s always a good idea to give your customers one of your business cards, those cards can easily be lost or forgotten. Make sure they remember you with a Business Card Chocolate Treat – Thank You, which puts your card right next to a delicious treat. Or instead of a business card, offer them a Victorinox SwissCard – Translucent, which is small enough to fit into a pocket and holds 10 useful tools, including a scissors, pen and a ruler. A notepad can be a great way to encourage note taking during your presentation, and when you’re done, they can take the notepad—and your name—with them. 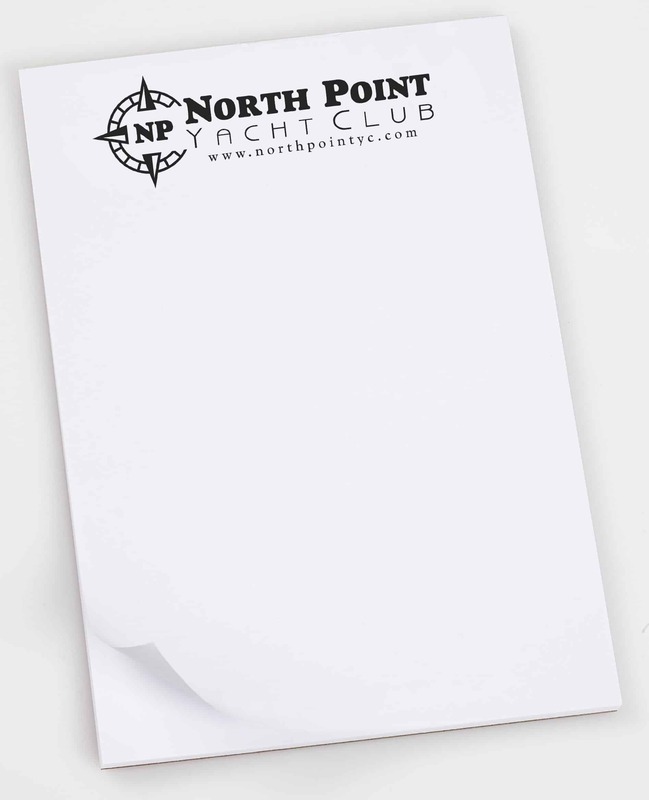 The Bic®Non-Adhesive Notepad shows off your brand, and the Post-it® Custom Page Markers – Reminder can be an excellent way for the customer to remember to order your products again. Small businesses can benefit from a simple, budget-friendly promo that will remind customers of their services. The Sticker by the Roll – Square can serve as a quick reminder. For example, a company that services furnaces or does plumbing could leave a sticker with their contact information. The homeowners will know whom to call during the next household situation. 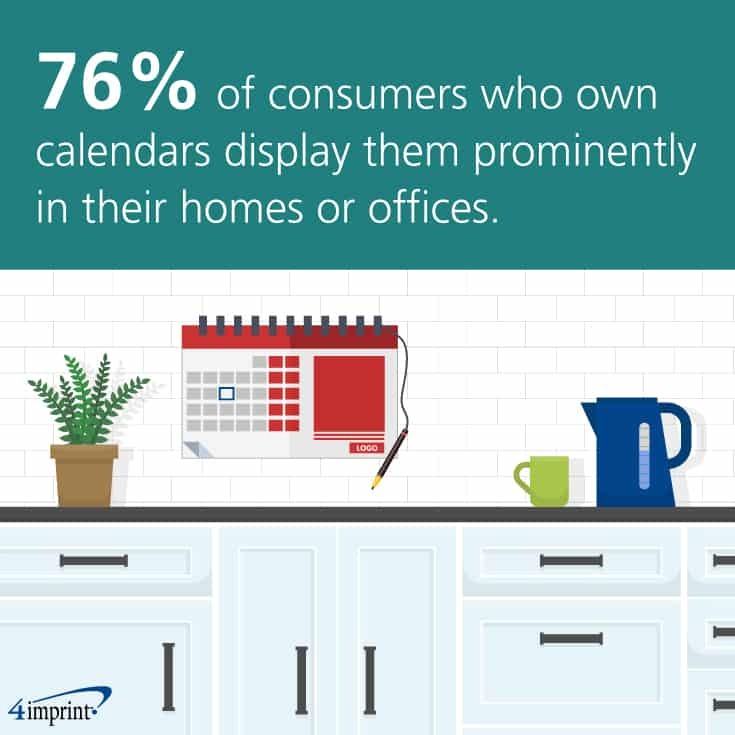 According to the Advertising Specialty Institute, 76 percent of consumers who own a calendar display it prominently in their homes or offices, making calendars an ideal promo to keep your brand visible. The Drone Aerials Wall Calendar takes the standard calendar to the next level. Each month features a gorgeous picture captured by a drone. When combined with the Pixaction App, the image comes to life on their phone or tablet. Sometimes the best way to make a long-lasting impression is to offer a unique twist on a classic. Most people like to receive pens because they are so useful, but the Potted Pen – Palm Tree is also a fun conversation starter. And while drinkware is also a favorite leave-behind choice, the Presto Coffee Press Tumbler reminds them of you every time they make freshly brewed coffee or tea. GT Midwest, which sells industrial supplies and products, along with fabricated parts, had the perfect reason to offer customers a unique version of the classic leave-behind. The company recently revamped their website, and wanted customers to know orders could now be done online instead of by phone or fax machine. “We have three main offices, and a couple of other satellites,” Administrative Manager Nancy Holmes said. “We needed a product that would help remind people about our new website.” They chose the Mood Stadium Cup, which changes color when ice-cold liquid is poured into it. It was budget-friendly and memorable. “We wanted a product that we could hand out liberally because we wanted to remind as many people as possible about the site,” Holmes said. “The sales reps call on their customers or deliver things personally, and while they are there, they hand out some cups. Customers hang onto the cup and it reminds them to take a look at the site. Making a sale is all about making sure your product or service is the first thing that springs to mind when a customer has a need. 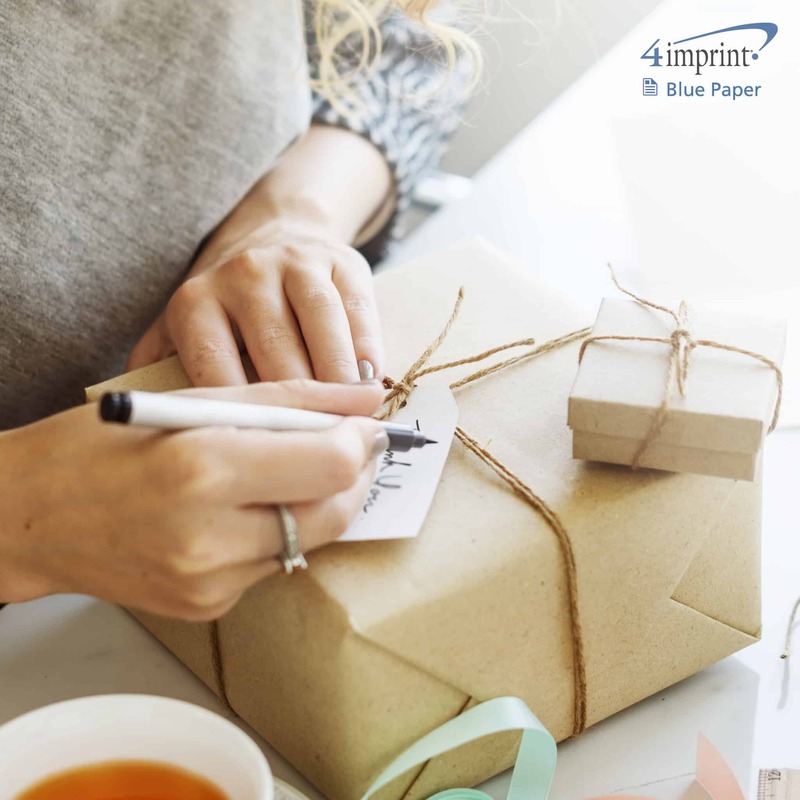 Among leave-behind ideas, the best are pamphlets and packets that feature your information and promotional products that remind customers of what makes you special. This is a very accurate article and important to read. I appreciate this product. Pass out this scratch pad so people can take notes during your presentation and keep your company top-of-mind after you leave.